Summoned to the riverside by the desperate, scribbled note of an old friend, Jem Flockhart and Will Quartermain find themselves on board the seamen’s floating hospital, an old hulk known only as The Blood, where prejudice, ambition, and murder seethe beneath a veneer of medical respectability. On shore, a young woman, a known prostitute, is found drowned in a derelict boatyard. A man leaps to his death into the Thames, driven mad by poison and fear. The events are linked—but how? Courting danger in the opium dens and brothels of the waterfront, certain that The Blood lies at the heart of the puzzle, Jem and Will embark on a quest to uncover the truth. In a hunt that takes them from the dissecting tables of a private anatomy school to the squalor of the dock-side mortuary, they find themselves involved in a dark and terrible mystery. 1851, Angel Meadow Asylum. Dr Rutherford, principal alienist, is found dead, his head bashed in, his ears cut off, his lips and eyes stitched closed. The police direct their attention towards Angel Meadow’s inmates, but to Jem Flockhart and Will Quartermain the crime is an act of calculated retribution, rather than of madness. To discover the truth Jem and Will must pursue the story through the darkest corners of the city – from the depths of a notorious rookery, to the sordid rooms of London’s brothels, the gallows, the graveyard, the convict fleet and then back to the asylum. In a world where guilt and innocence, crime and atonement, madness and reason, are bounded by hypocrisy, ambition and betrayal, Jem and Will soon find themselves caught up in a web of dark secrets and hidden identities. Six tiny coffins, inside each a handful of dried flowers and a bundle of mouldering rags. When Jem comes across these strange relics hidden inside the infirmary’s old chapel, her quest to understand their meaning prises open a long-forgotten past – with fatal consequences. BELOVED POISON is published by Constable on 4th March 2016. It is Constable’s lead debut crime fiction title for 2016. Set in 1857, between England and India, The Peachgrowers’ Almanac (A Proper Education for Girls) is a rollicking novel about feisty women, the devotion of sisters and the Victorian obsession with empire, experiments and photography. The peachgrowers of the title are twins with a passion for botany. Lilian, in mysterious disgrace, has been married off to a dreary missionary. Alice is left at home, curator to her father’s monstrous collection of artefacts, under the watchful eye of the malevolent Dr Cattermole. The Peachgrowers Almanac is a dazzling debut. 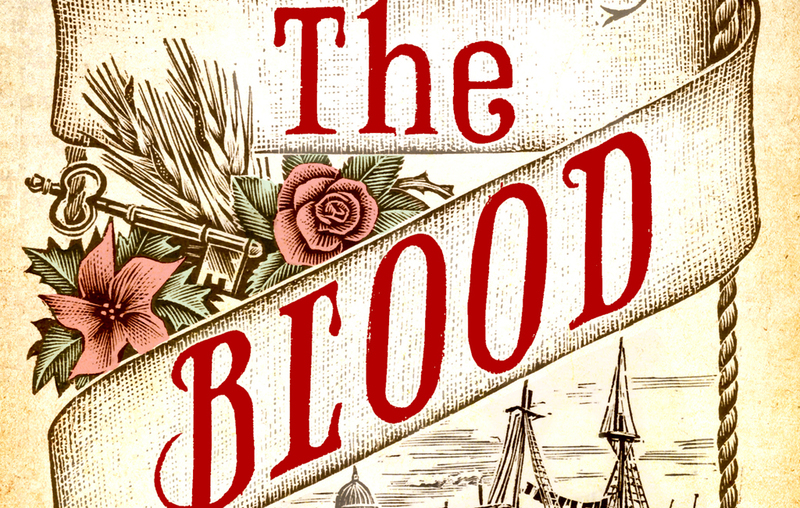 Tongue-in-cheek and inventive, comic and horrifying, it illuminates the dark heart of Victorian hypocrisy and selfishness, yet at the same time is engaging, very funny and utterly unputdownable. The Peachgrowers Almanac was published in paperback in 2009 with the new title ‘A Proper Education for Girls’. Monty and Ada are old friends. They worked together on the frontline in Belgium where Monty was a nurse and Ada drove ambulances – like the devil. And now, Bleakly Hall Hydropathic has brought them together again. Monty has just arrived to look after the gouty residents – there to take the Hall’s curative waters via nozzle, douche and jet – and Ada is the maid and driver. For all those at Bleakly, the end of the Great War has brought changes. Not all of them good. Monty has a score to settle with the elusive Captain Foxley; Ada misses her wartime sense of purpose; the Blackwood brothers must reinvigorate Bleakly for a new era; Foxley has his own particular ways of keeping his ghosts at bay. But with the crumbling, rumbling hydropathic threatening to blow it’s top, what will become of those thrown together in it’s bilious embrace. This wonderfully original novel brings together an irresistible cast of characters – including Bleakly Hall itself – in the wake of one of history’s great tragedies. To powerful effect, it combines fizzing comedy with a deeply moving look at the aftermath of war.